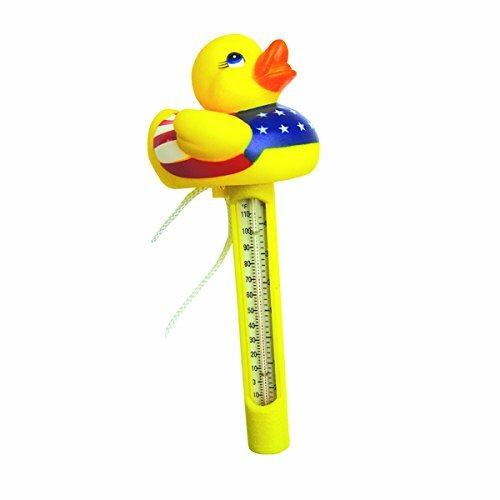 USA Floating Duck Thermometer with Tie Off for your ladder. The Duck has an American Flag Vest and Looks Great Floating in your Pool! Items are assorted - a duck, a frog and a boat. View More In Outdoor Thermometers. If you have any questions about this product by JED Pool Tools, contact us by completing and submitting the form below. If you are looking for a specif part number, please include it with your message. StealStreet SS-UG-GMD-555 Portable 12 Gauge Shotgun Shell Thermometer, Red/Gold, 11"